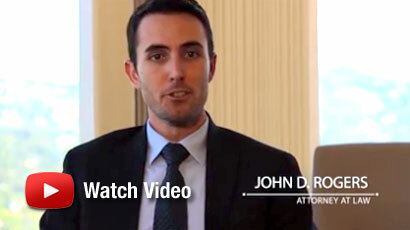 Expunging a criminal record is a division of the Law Offices of John D. Rogers exclusively dedicated and emphasized to expungements in California. 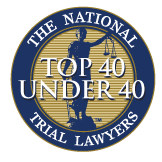 This is includes both felonies and or misdemeanor offenses where in most instances clients do not need to attend court. A prior arrest or conviction or a criminal charge can be more than an embarrassment but also have adverse effects on your personal and professional life. It can prevent you from obtaining a job, credit, a bank loan, renting an apartment, or being accepted to certain schools and colleges. The social stigma attached to a criminal record can be devastating and sometimes is an isolated instance in your life. The general public and potential employers have access to your arrest and court file. Fortunately, for many people in this situation, a remedy does exist. What is an Expungement in California? In California, Penal Code 1203.4 permits a person convicted of a crime and sentenced to probation or not, upon proper motion, permit them to withdraw their guilty or no contest plea, or finding of guilt, and enter a plea of not guilty. Thereupon, the court will set aside the plea and dismiss the case. This means that if you are petitioning for a dismissal, the court, upon proper motion, may withdraw your guilty or no contest plea, or verdict of guilt if you went to trial, and enter a not guilty plea. Then the court will set aside and dismiss the conviction. From that point forward, you are no longer considered convicted of the offense. 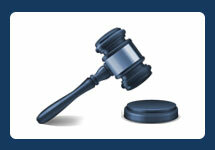 Your record will be amended and a notion will be displayed as dismissed pursuant to PC 1203.4. The granting of the Petition to Dismiss shows that you fully complied with all the Courts orders and the Court determined you were eligible for relief under Penal Code section 1203.4 or 1203.4(a). Contrary to popular belief, your criminal conviction (e.g., DUI, Assault, Battery, Domestic Violence) does not automatically expunge on its own. Instead, your conviction will remain on your record until your petition is granted under PC 1203.4. It requires a specific filing of a petition and granting of the expungement/dismissal petition submitted ex-parte. It is important that you take affirmative action as your criminal conviction will appear on your record for decades. Once your petition is granted, you can confidently in many circumstances say “no” regarding any direct question relating to a conviction. Furthermore, once your petition is granted, you are released from all liabilities of your offense, and you will no longer be considered to be convicted of a crime by the state of California. What are the Benefits of PC 1203.4 Relief? 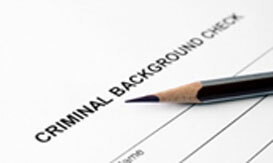 What Crimes are Not Eligible for an Expungement? It is important that you take legal steps necessary to expunge your criminal record with an attorney who has success in this area. If you are interested in getting your criminal record expunged, contact an experienced Orange County criminal defense attorney at the Law Offices of John D. Rogers for a free confidential consultation. Also ask about motions for early termination of probation, certificate of rehabilitation, and an application for governor’s pardon.